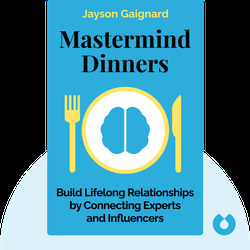 In Mastermind Dinners (2015), author Jayson Gaignard introduces an innovative way to build networks that last, by inviting influencers and high-level executives to dinner. 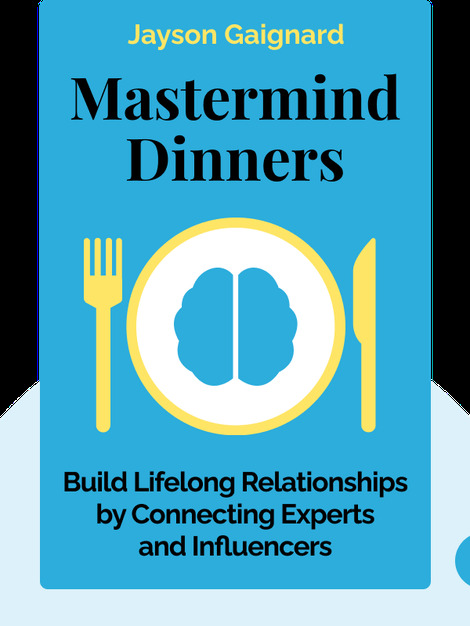 As a mastermind dinner host, you open up a whole new world of networking possibilities through gathering interesting people around a table to share a meal and connect meaningfully with each other. Jason Gaignard is a serial entrepreneur who organizes large networking events for entrepreneurs and business people, and also hosts a highly rated business podcast on iTunes.